Management, in Today’s time is a deciding difference between success and failure. Availability of technology and technical know how is a prerequisite for success of watershed management. But the availability of Technical know how is certainly not the guarantee for success .For example – in Agribusiness; the production is prerequisite but certainly not the guarantee for successful agribusiness, until and unless efforts are made to manage the marketing of the harvested produce. 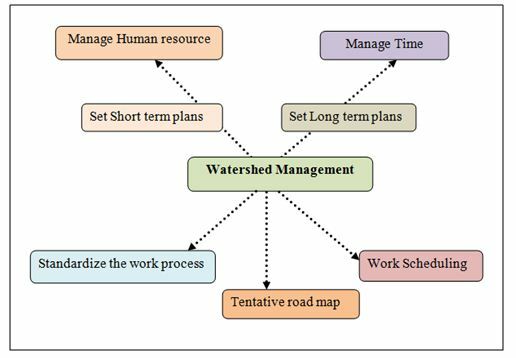 Management is becoming an important factor in deciding the future of Watershed project .In many instance, the project fails to achieve the required outcomes and gets a setback just due to improper management. Why Management is so important ?